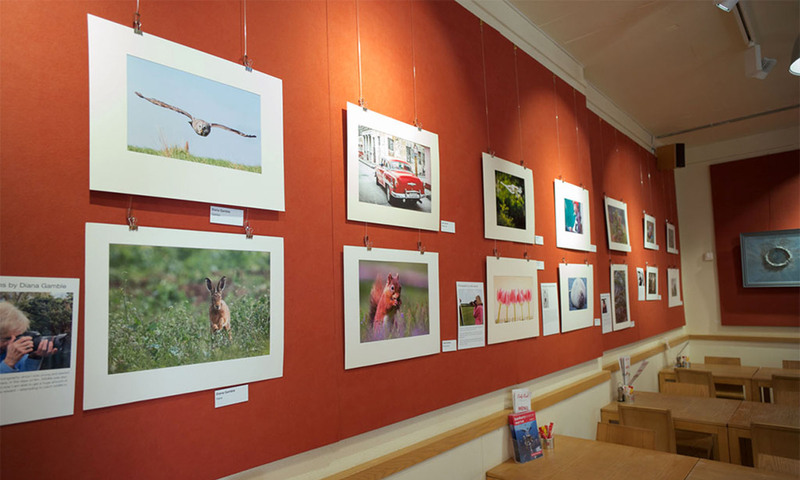 This week saw a change over of the Banbury Camera Club exhibition at Café Red – Another fine set of images now on display, this time from our very own Master of the Leica – Andrew Spackman ARPS. A delightful set of high quality colour street photography images taken within the last Month. The standard and variety of work that is coming out for these exhibitions is very good – a real credit to the club – and More To Come!! Do note that access to the Cafe is now via the canal tow path only as the Museum is undergoing a renovation. One not to miss this and any Print Sales Andrew makes goes to Katherine House Hospice. I have been taking photographs since 1954. 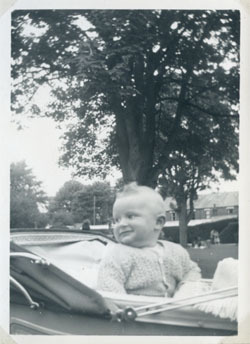 My very first photo, of my brother Ian in his pram, was taken on my parents’ Kodak folding camera. As you can see, he has a tree growing out of his head. These days I still make the same elementary error but do it, rather more expensively, with a Leica digital camera. I have been a member of Banbury Camera Club since 1991 and greatly value the expertise, encouragement and friendship of our nearly seventy members. The photographs were taken during a fortnight’s holiday in June. We were staying in Passignano sul Trasimeno, just into Umbria and near the border with Tuscany. make a good design and, ideally, which hints at some story. I always hope that those pictured would like the results and certainly Martino’s mother was pleased to receive a copy of photo 11. If there is some humour – and that’s usually the intention – it isn’t aimed at the people portrayed. On the contrary, I like to think they would smile too. “Gosh, that was a tiring walk!” I imagine the seated couple in photo 8 saying. The photos feature both residents and tourists and cover work, relaxation and play. None of the pictures was planned in advance. We never know what to expect and there are always surprises. Next year, the chap in photo 16 won’t be relaxing on the seat but no doubt something else will be happening which may make a picture.